What should teachers do when students misbehave? This might seem like a simple nuts-and-bolts question, but for generations it has triggered culture-war debates. Conservatives often insist that children need traditional punishments; progressives warn that those punishments only make behavior worse and that harsh discipline tends to land heaviest on minority kids. In the recent issue of Mother Jones, Katherine Reynolds Lewis reviews the disciplinary work of psychologist Ross Greene. Like other progressives over the course of the last century, Lewis argues that traditional forms of school discipline are utterly wrong-headed. Teachers using Greene’s approach build positive relationships with misbehaving kids. Instead of offering a set of rewards and punishments, teachers try to let students explain and vent their negative feelings. According to Lewis, the system works. Reluctant teachers (and prison guards) have been brought around by the dramatic positive results. Historically, not everyone has been so smitten with these sorts of interventions. 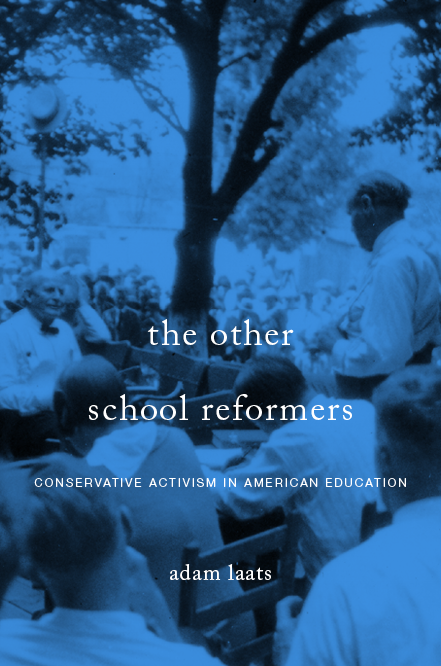 As I argue in my recent book, conservative school activists in the 20th century insisted that Greene-style reforms were hopeless. Not only did they fail, conservatives thought, such progressive claptrap fundamentally misunderstood the nature of humanity and education. a child is not a little man. He is a being in transition and a lot closer to the raw simplicities of the primeval jungle than any of us will ever be again or than we like to think we ever were. Childhood may be mystic, as Victor Herbert said, but it’s often very far from merry. For one thing, the child lives in a world where both time and space are vastly different from ours. A year to a child may easily be a week to us. A bungalow to us six-footers is a skyscraper to him, a wooded grove the limitless forests of Xanadu. He is notably impatient where we have learned patience. He is openly and candidly selfish where we have been pressured by the needs of society to conceal our own self-interest. He is direct where we are devious, simple where we prefer to be complicated. What’s wrong with teaching the kid that fighting in school is wrong? Why not outlaw profanity and bring back the good old soap-in-the-mouth bit for youngsters who can’t keep a clean tongue in their heads? The school exists to make Johnny a better boy. In an earlier work, Rafferty blasted the progressive assumptions of Greene-style approach to discipline. a child usually has neither the maturity nor the judgment to understand the need for self-discipline. Too many instructors, fresh from college and still pretty Dewey-eyed about things, compromise themselves and their careers in a hopeless attempt to convince some freckled-faced [sic] urchin with devilment coming out visibly all over him that he must discipline himself when all he really needs is a session after school with the ruler. . . . Prior to 1930 school discipline was built around corporal punishment. It always had been. Education had walked and in hand with the hickory stick apparently since time began, and virtually every teacher who ever lived took this state of affairs for granted. School, you see, was not considered ‘fun’ in those days. It was a mighty serious business and was conducted that way. At any rate, once the two premises are accepted that (1) boys won’t behave in schools unless compelled to do so and (2) boys must be made to behave so that they can learn things that are essential for them to know, then the whole paraphernalia of corporal punishment falls into proper perspective. . . . Things have changed of late in the field of discipline, and more than somewhat. They started to change at home first, back in the twenties and thirties. The prime mover in their change was the new psychology, which was widely publicized and which caused parents seriously to doubt their proper role vis-à-vis their children for the first time in the recorded history of the human race. . . . The result was the emergence of the least-repressed and worst-behaved generation of youngsters the world had ever seen. The psychologists had been right in one respect. Junior certainly had no repressions. He could have used a few. In Lewis’s telling, Rafferty’s brand of traditionalism flies out the window when teachers and parents see the positive results of progressive discipline. I’m not so sure. 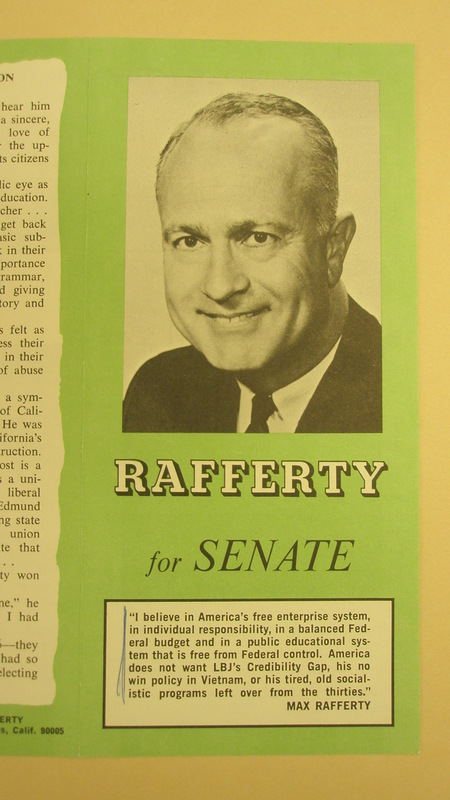 After all, as Rafferty’s work from the 1960s shows, Greene’s brand of progressive reform has been around since the 1920s. It didn’t convince conservative skeptics then and I don’t think it will now. The questions go deeper than just classroom efficiency. Some traditionalists, IMHO, will continue to believe that old-fashioned forms of discipline—yes, including corporal punishment—are not just more effective, but more closely connected to the true nature of childhood.